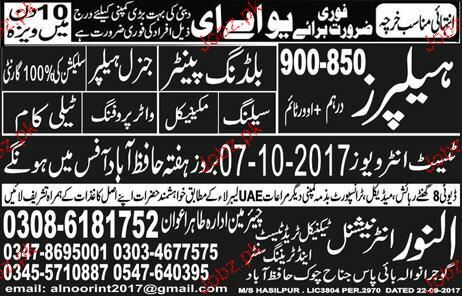 Building Painters and Telecom Operators are required in UAE. Food, Medical and Residence will be provided by the Company. Test and Interview will be held on 07 October 2017. You can apply online at vacancy after registering at http://www.jobz.pk site.